I was inspired to write this by a poem Gabrielle wrote the other day and by thoughts of my friend, Andie – who left us much too soon – and how much she loved the skies at Easter. It is dedicated to Stafford, who sadly lost his son last week. I’ve been thinking about him a lot….. The sky holds the answer to it all. The secrets of morning, noon and those moments of dusk that seep into your soul. All-seeing, all-being, adding colour to the drabness of our days. The blue, the steadfast, constant blue. How I love you, beautiful blue sky. I know that if a genie were to appear before me right now I would waste one of my three wishes. I would wish to have the power to trail my fingers through the blue sky, soft as feathers made of silk, textured like mist baked by sunlight, cold as silver on skin. For the time the wish lasted I would be Queen of the Skies, writing my name in the indelible blue, drawing hearts and smiles; seizing the day more than it ever had been seized before. He wouldn’t understand – stuck in his bottle – that we mere mortals, we are bound by the sky. It connects us, it embraces us, it holds parts of us that no longer exist in this moment. For ever and ever. I think of my friend dying – there was no sugar coating it, she was dying – insisting her hospital bed be close to the window so she could see the sky. I tried to amuse her by listing all the shades of blue I could think of. Naming days and moments the sky had appeared so, nuanced and subtle. Making her laugh when I mentioned gentian blue. ‘Use it in a sentence,’ she said. The sky was like the trim on the bonnet of a Jane Austen heroine – a bright gentian blue. Making her laugh more when we found the colour of gentian on the internet and decided it looked like the colour of Smurfs. ‘Lizzie Bennett had ribbons on her bonnet the colour of Papa Smurf,’ she said. We giggled about it for hours. The nurse, who read Jane Austen in her lunch break and dreamed of Mr Darcy, scowled at our irreverence. At Easter the skies always seem larger than usual. Maybe all that talk of renewal and rebirth rejuvenates them, sweeping the clouds to the edges. You can’t help but look up, you can’t help but think the people who have disappeared to a place you cannot reach can still see the sky. The energy of the blue will never let us go, no matter where we are. It will continue to link us to one another even when who we are or were is far, far away. Today the sky is a blue cape on my shoulders. I am jubilant with that cape, able to deflect anything that doesn’t fit the blue. I am enfolded. I am immersed. I want to sing, to clap, to jump. I am humbled by the power of it all. The knowing. The coming from a sad place; the coming from a happy place joining into a deep, abiding, unbounded, unforgettable, undimmed blue. A truly beautiful read, I found it all very moving, as usual very well written. Thank you, Mags. That means so much to me! Oh Selma, you are so beautiful, and so is your writing. Thinking about Stafford, and Gaby and mostly your Andie. For what it’s worth, I will never forget a conversation I had with my best friend Debbie. She said if she could only look at one more thing ever again, it would be the sky. Can’t say I blame any of you. I agree, the skies are bigger at Easter. Selma, this is a wonderfully written tribute. Well done. Thank you, Writingfeemail. I really appreciate you saying that! Simply beautiful! I too am mesmerized by the beautiful blue sky above me! Ah yes, Josie. It really is one of the wonders we are able to experience in this life. I love it! Beautifully written, Selma. You have a way of pouring your words into our hearts. I’ll carry these for a long time, thinking of you and your friend every time I look at the blue sky, especially if it’s gentian. So beautifully touching, Selma. I am terribly sorry to hear about the passing of Stafford’ son. I can’t even imagine. It’s so sad isn’t it, Meleah? I also couldn’t imagine it. I feel so bad for him. It is amazing how much can be found in that clear sky…the emotions expressed where beautiful. You are so right, slpmartin. It contains so much. I think there is a psychological indication for the colour blue lifting and soothing one’s mood. I can see that. It certainly works for me! It kind of feels like the sky is a cape sometimes, especially if you’re standing on a hill. If you think about it that idea would make quite a good children’s book – a little boy who is a superhero and flies around by wearing a cape made of the sky. Shame I can’t draw or write children’s books. I love spreading the blue, Gabrielle. BLUE POWER RULES!!! I love the way you have here captured in blue the fundamental duality of Life’s light and dark faces, forever interwoven……beautiful. Thanks. Thank you for saying that, Anne. You put it so so well. Perhaps that is the power of the sky – that it does contain such duality. ‘Forever interwoven….’ – I really like that. Really nice! Lovely post, Selma. 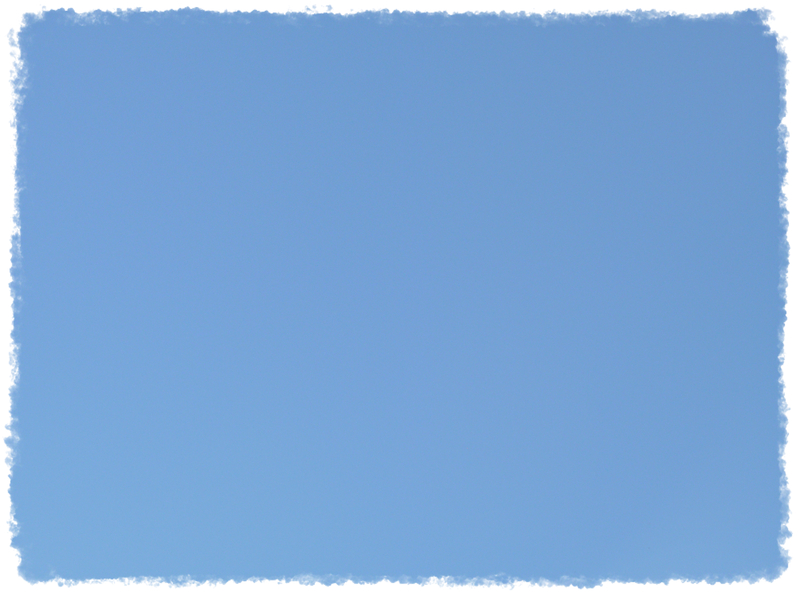 It has made me view the sky quite differently… The blues here in SA are wonderful this time of year too! I bet you are experiencing beautiful skies at the moment, Adee. Your landscape is stunning too. Enjoy the view! Thank you my friend, it helps. I wish you had known him. I am sure you would then agree that he was too sensitive and trusting to survive in the world he inhabited, first where adults take advantage of kids, then nearer the end, predators take from the helpless. You would have loved him too and he would have loved you!